It’s officially time. The Photo Review is now taking applicants for its 35th annual International Photography Competition. The Photo Review, a highly acclaimed critical journal of photography, is sponsoring its 35th annual photography competition with a difference. Instead of only installing an exhibit that would be seen by a limited number of people, The Photo Review will reproduce accepted entries in its 2018 competition issue and on its website. Thus, the accepted photographs will be seen by thousands of people all across the world and entrants will have a tangible benefit from the competition. Also, the prize-winning photographers will be chosen for an exhibition at the photography gallery of The University of the Arts, Philadelphia. Plus numerous Editor’s Selections will be exhibited in several Photo Review web galleries. Prizes will include a $500 dollar purchase prize from Haverford College or Blue Flower, a Wacom Intuos tablet, camera bags, prints, and much more. The submission deadline is May 31, 2019. It’s time for the nation’s photographers to get their competitive juices flowing once more. Soho Photo Gallery, with the help of Archival Methods, has announced that it is now accepting entrances to its long running National Juried Competition. The deadline is May 1st, 2019. Soho Photo Gallery, New York City’s longest running cooperative photography gallery, is pleased to announce its 24th National Juried Competition. All photo-based works are eligible for this competition with no limitation as to subject matter or technique. Our juror, Julie Grahame, will choose approximately 40 photographs for exhibition in our gallery, located in lower Manhattan. Julie Grahame is the publisher of aCurator.com, a full-screen photography magazine, and the associated aCurator blog, one of the ten best photo sites named by the British Journal of Photography and one of Life.com’s top 20. She has represented the Estate of Yousuf Karsh for licensing for 15 years and maintains Karsh’s online presence. Grahame is a consultant for photographers of all levels; a portfolio reviewer, writer and speaker. She is vice president of the American Photography Archives Group (APAG),and a contributing writer for PDN’s Emerging Photographer and EDU magazines. In a former life, she ran the Retna photo agency. Eligibility: The competition is open to all photographers age 18 years old or older, excluding members of Soho Photo Gallery. All submission are made by uploading to spg.slideroom.com. Awards: The awards include cash prizes from SPG for 1st, 2nd and 3rd place. Up to four Honorable Mentions will also be chosen and receive gifts provided by our sponsors. Interested in competing? Wait no longer with this link to the competition. 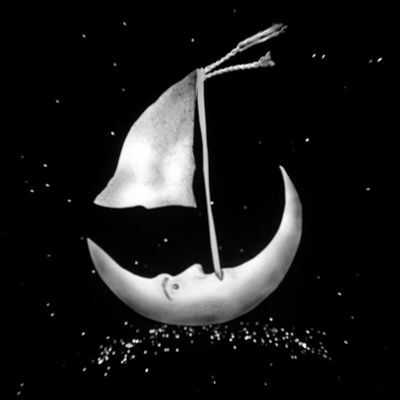 Soho Photo Gallery has announced the winner of its 2019 Krappy Kamera competition as Lisa Lindamood. 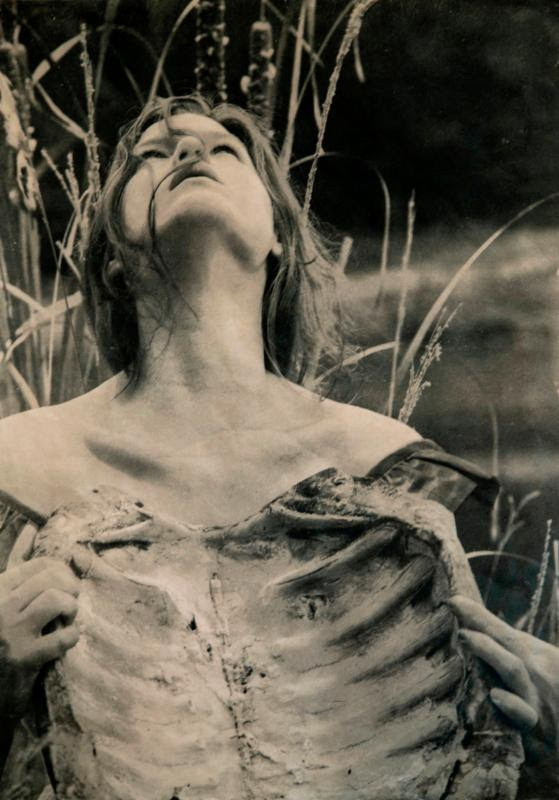 A native Tennessean, she has been creating handmade photos for two decades. Marky Kauffmann was awarded second, while Denise Moore came in third. Our philosophy at Soho Photo Gallery is that in the hands of any artist great photographs can be made with basic equipment. To explore this talent, we are searching for extraordinary photographs made with lousy lenses. Examples of some Krappy Kameras are the Holga, Diana, Ansco, and pinhole cameras. You can also create your own Krappy Kamera by using your non-Krappy Kamera (e.g. 4×5, SLR, DSLR) and exchanging the lens with a Krappy Lens (e.g. pinhole body cap or Holga-type lens). Cell phones, disposables and point and shoot cameras are ineligible. Remember, just because a camera is old and moldy doesn’t make it Krappy. The lens is the determining factor. The competition was juried by Michelle Bates, internationally renowned for her Holga imagery since 1991 and author of Plastic Cameras: Toying with Creativity, an extensive look at the use and history of toy cameras. Soho Photo Gallery will be exhibiting photos from the competition through the end of March. Of the hundreds of articles in our archives, the most popular are the annual lists of photographers we choose as the “Best of the Best” for each year. The interest in this group of evolving artists, at different stages in their careers, always exceeds our expectations. The contributors to this website viewed thousands of fine art images and attended dozens of galleries, museums and fairs throughout the year. To distill all that activity into a single brief list is obviously a difficult (but enjoyable) task and should foster days of discussion by visitors to BWGallerist. Our congratulations go out to these talented artists. 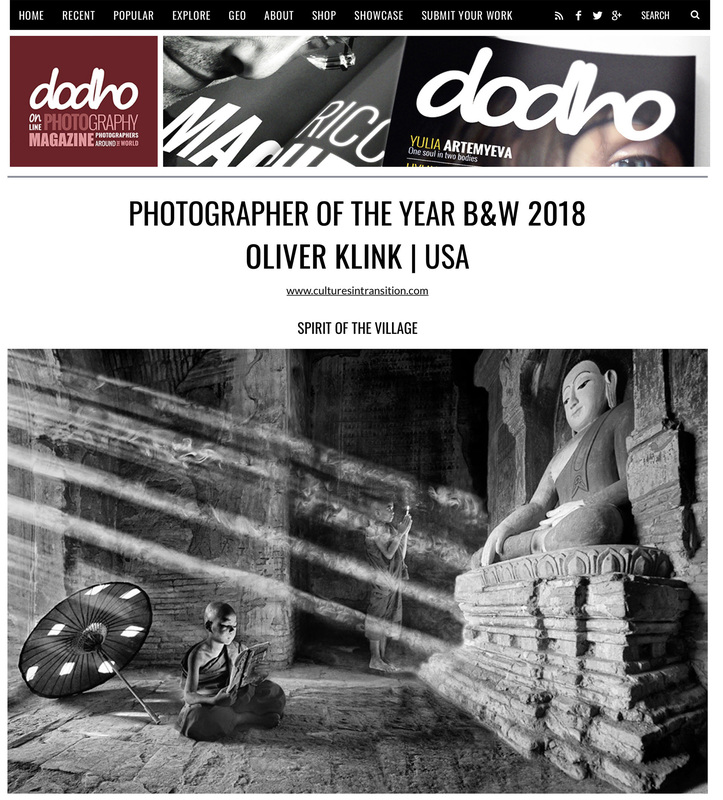 In exciting news for our friend Oliver Klink, dodho.com, the well respected online photography website, has named Klink’s “Spirit of the Village” series from Cultures in Transition the Grand Prize Winner of its annual awards competition. The second edition of its awards, Dodho compiled a plethora of industry stalwarts to serve on its jury, including photographer Reza, Getty Images managing editor Jay Davies, founder and director of Coco Communications Shanthi Jeuland, and many others. In addition to grand-prize winner Klink, Nick Gandano of Spain came in second (for his work Anthracite) and Anup Shah of Kenya came in third (for the series The Mara). For those who’ve been procrastinating and need a last second reminder, time is running out! The annual National Alternative Processes Competition deadline for entries is August 27th. Juror: Dan Burkholder is a photographer, author and teacher. He wrote the groundbreaking book Making Digital Negatives for Contact Printing and has led the mobile photography revolution with his book iPhone Artistry. He combines twentieth century technology with nineteenth century printing processes. Learn more about the competition, or if you’re ready right now, enter below. As with many other artistic mediums, photographers have been known to enjoy the certain paths less traveled for their artwork. In this spirit, Soho Photo Gallery is calling for entries for the National Alternative Process Competition, sponsored by the Penumbra Foundation and Bostick & Sullivan. Alternative processes include, but are not limited to: Albumen, Cyanotype, Van Dyke Brown, Platinum/ Palladium, Gum Bichromate, Bromoil, Salt Print, Tintype, Ziatype, Daguerreotype, Image Transfers, Liquid Emulsion, Chemigram, Photogravure as well as handmade prints created from digital negatives. Traditional Silver Gelatin Prints, C-Prints and Digital Prints are not eligible. There is no limitation as to subject matter. Dan Burkholder is known for looking over photography’s horizon to discover new ways of capturing and expressing the photographic image. In the early 1990’s he wrote the groundbreaking book Making Digital Negatives for Contact Printing. In 2012, he led the mobile photography revolution with his book, iPhone Artistry. 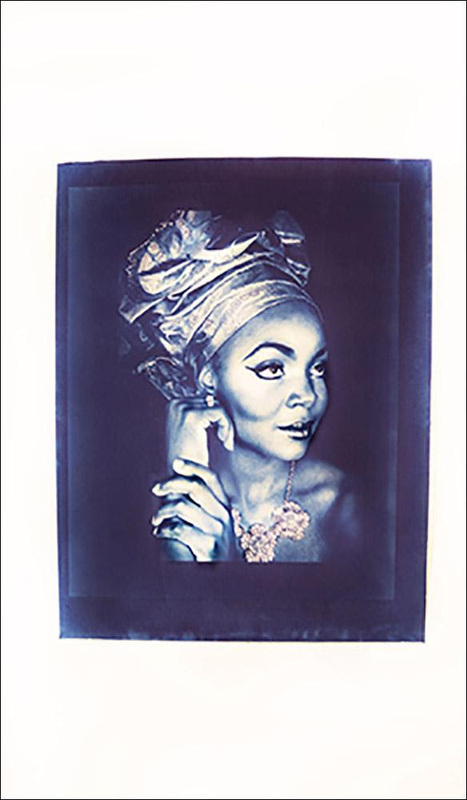 Many of his images are expressed as platinum/palladium prints enhanced with hand-applied gold leaf and other precious metals, combining twentieth century technology with nineteenth century printing processes. Dan earned his BA and MA degrees in photography from Brooks Institute of Photography in California. His prints are in private and public collections internationally. The competition is open to all photographers age 18 years old and older, excluding members of Soho Photo Gallery. Digital entries and fees must be uploaded at callforentry.org where you will find submission instructions. For those interested in entering the 14th annual edition of this competition, entries are due by August 27th, 2018. The New York Center for Photographic Arts is calling for entries into their international juried show Patterns and Shadows. They are looking for amateur and professional photographers alike to submit images produced using any medium, style or process. There is a striking photograph of a camel caravan taken from above. At first glance you see dark animals and riders in the bright sunset the color of sand. On closer inspection you see tiny well-lit camels and riders with the strength of the image in the tall dark shadows cast in the setting sun. In the same vein, dusk casts shadows on a flight of stairs creating a canvas of black and white stripes. Just as powerful are shots where the impact of the image is derived from patterns in the composition such as the tile pattern on the Sydney Opera House, rows of theater chairs etc. Interesting interpretations of your own shadow are welcome as well. Be creative – send us your best. Grand Prize: One photographer will receive $750. The image will be part of the New York gallery show, the NYC4PA Online Gallery and the call catalog. It will be featured on the home page of NYC4PA website. · First Prizes: 3 photographers will each receive $300. Their images will be exhibited in the New York Gallery show, the NYC4PA Online Gallery and in the call catalog. · Second Prizes: 3 photographers will each receive $250. Their images will be exhibited in the New York Gallery show, the NYC4PA Online Gallery and in the call catalog. · Third Prizes: 3 photographers will each receive $200. Their images will be exhibited in the New York Gallery show, the NYC4PA Online Gallery and in the call catalog. · Jurors’ Selections: 15 additional images will be exhibited in the New York Gallery show, the NYC4PA Online Gallery and in the call catalog. · Honorable Mention: 20 additional images will be exhibited in the Online Gallery and listed in the call catalog. *All Prize Winners, Juror Selections and Honorable Mentions will receive an NYC4PA certificate. For those interested in submitting work for the competition, entries are needed by November 12, 2017. The show will be exhibited at the Jadite Gallery in New York from April 3rd to April 14th, 2018. Are you interested in becoming the next great photographer to be displayed at SohoPhotoGallery? For years, the gallery’s Portfolio Review Committee has juried thousands of photographers’ portfolios, resulting in some brilliant contemporary photography to see the light of day. Digital entries must be uploaded at <callforentry. org> where you will find instructions for submitting. or older, excluding members of Soho Photo Gallery. If you’re one of the handful wanting the chance to display their work, submissions will be accepted until January 8th, 2018.